The Arcturus sounding rocket was intended to serve as a replacement, or upgrade, to the popular Arcas sounding rockets. It's main selling point was that it could be launched from the existing Arcas launch platforms, avoiding new infrastructure expenses. 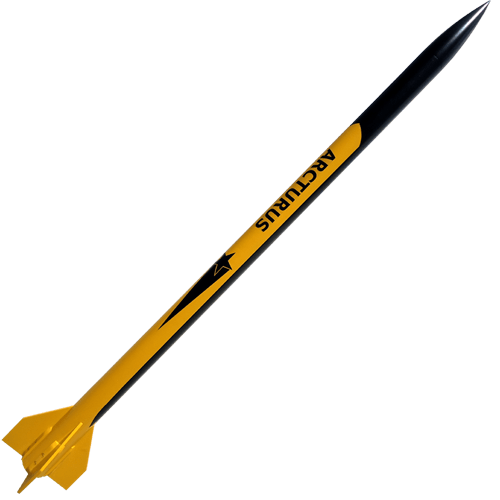 The Arcturus rocket never gained a wide user base as new two-stage Arcas configurations served the same purpose more efficiently. The finished scale model stands an impressive 38.75" tall. This is a big rocket!